Check Out Similar Homes For Lease!! 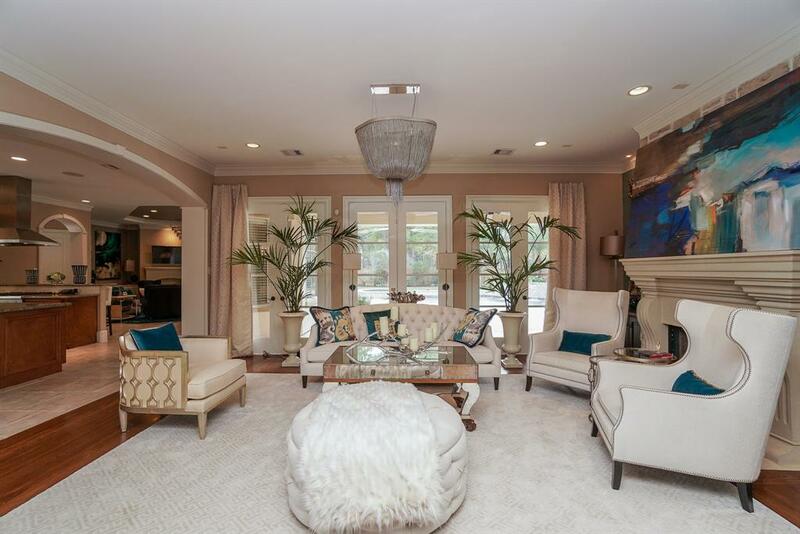 Call Rich at 713-419-9074 to see if this property is still available and to schedule a showing. 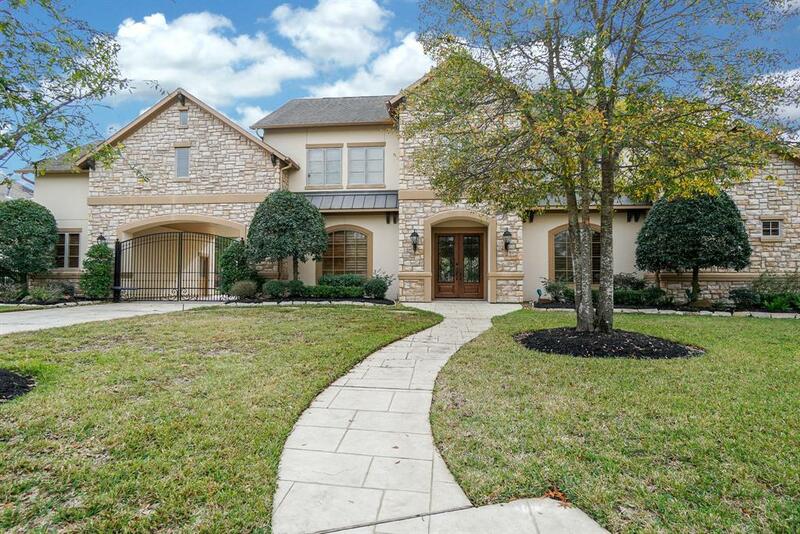 This gorgeous home resides on an over-sized, cul-de-sac lot in the gated Cinco Ranch West. 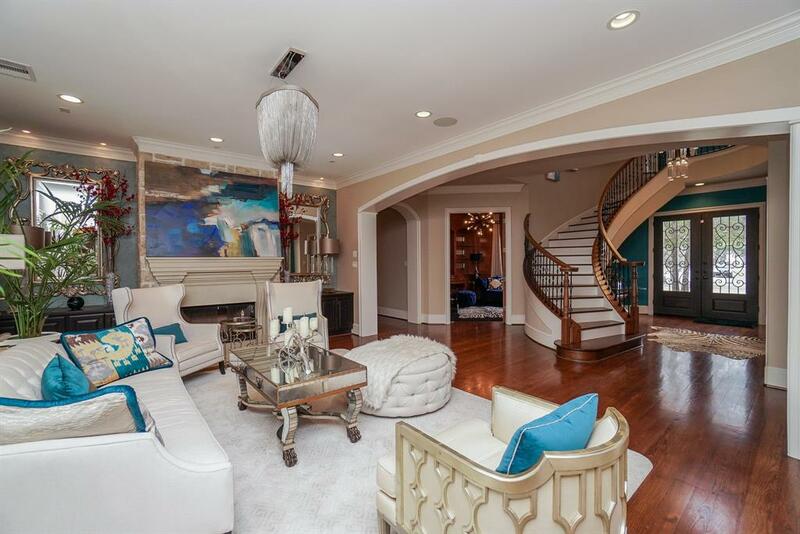 Spacious interior features 5 bedrooms, 5.5 bathrooms, a media room, 3 fireplaces. Easy access to the Grand Parkway, West Park Toll Way and I10. Warm-toned wood cabinets, granite counters, an oversized island, and double ovens make the kitchen a cook’s dream. 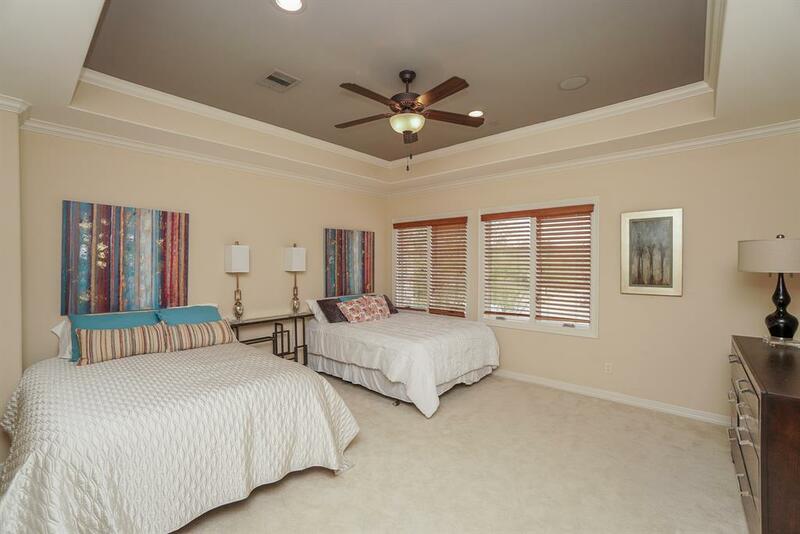 The master bedroom has its own fireplace, a huge master bathroom with a jetted tub, and enormous walk-in closets. The fully fenced backyard oasis features a sparkling pool with a spa, two covered patios including one with an outdoor fireplace and kitchen area, all making the perfect place to entertain and relax. 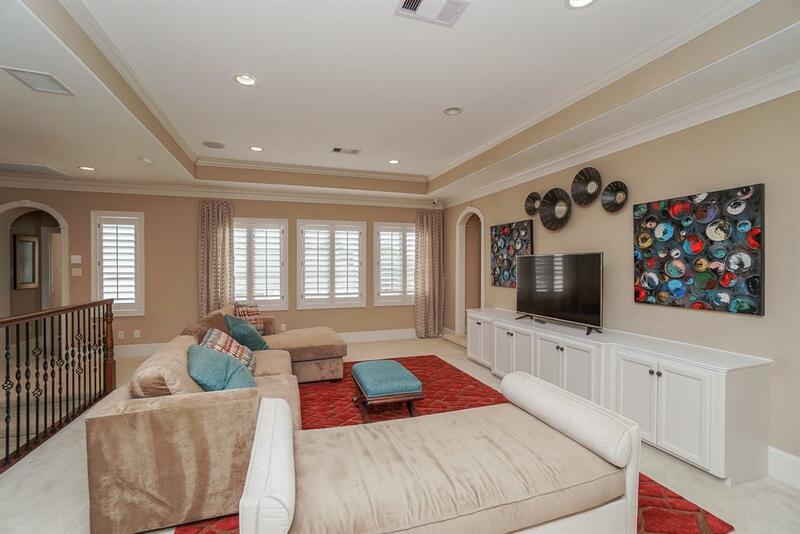 Resort style living, this home is offered completely furnished as seen in the photos. 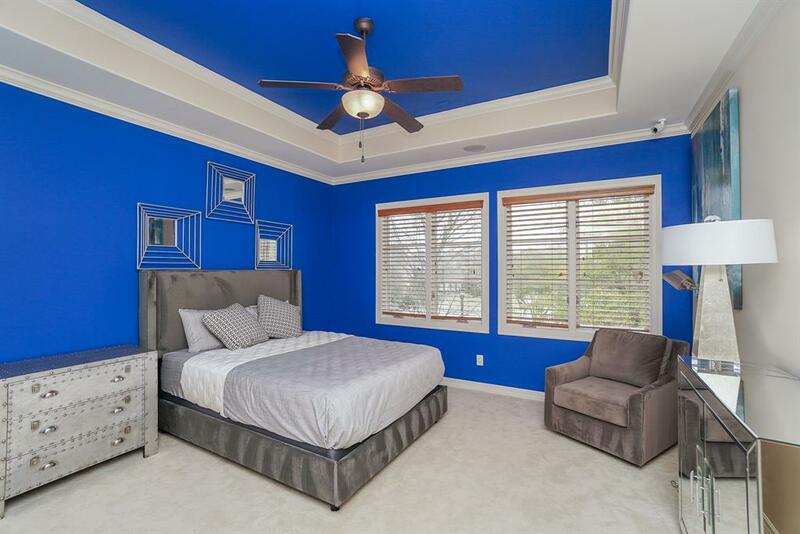 You have to see this beautiful home to appreciate all that it has to offer! 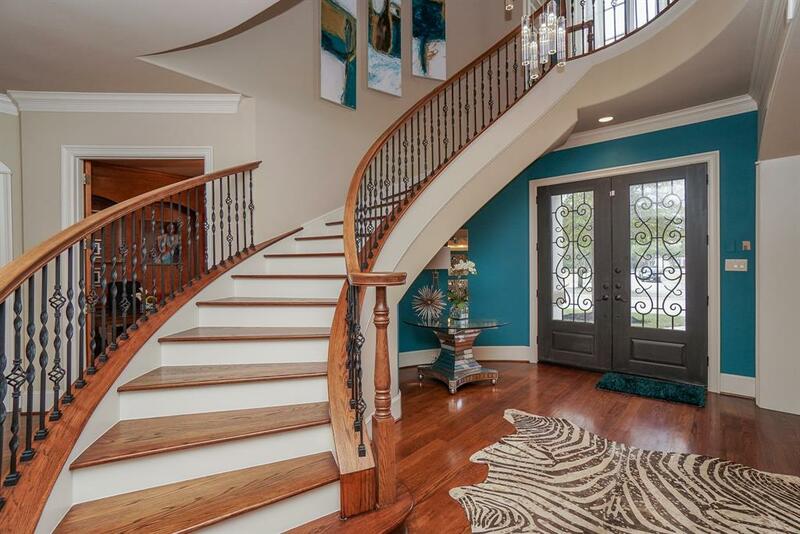 Double doors with glass and ironwork open into the elegant foyer lined with a wood and iron spindled curving staircase.The wood-floored foyer, lined with a wood and iron spindled curved staircase, looks into the living room. Stretching across the back of the home, the living room opens onto the office, the front foyer, and the kitchen, creating a generous amount of space. Large, open arched doorways, a stone fireplace, and crown molding gorgeously accent the living room. Floor to ceiling windows line the back wall in the living room adding natural light and warmth to the room. 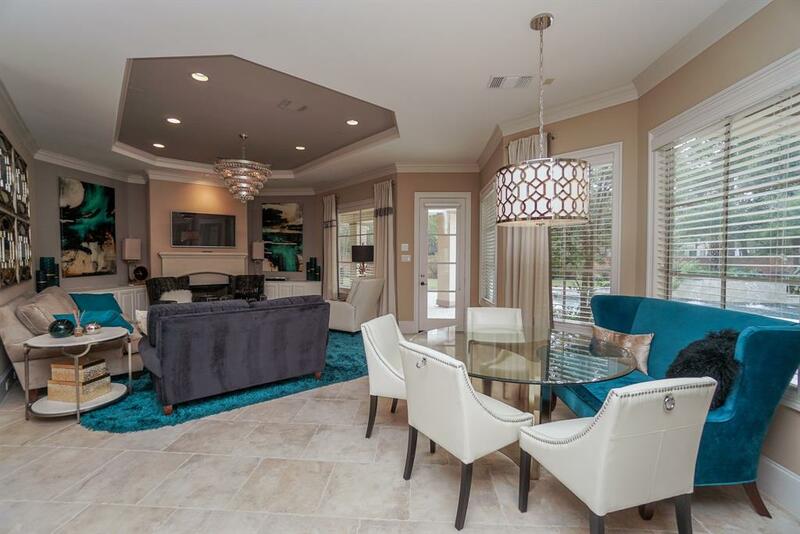 With an open layout, the living room connects the office, the front foyer, and the kitchen, providing a generous amount of space for entertaining. Warm toned cabinets, light granite counters, and tiled flooring and backsplash are the perfect combination in the kitchen. 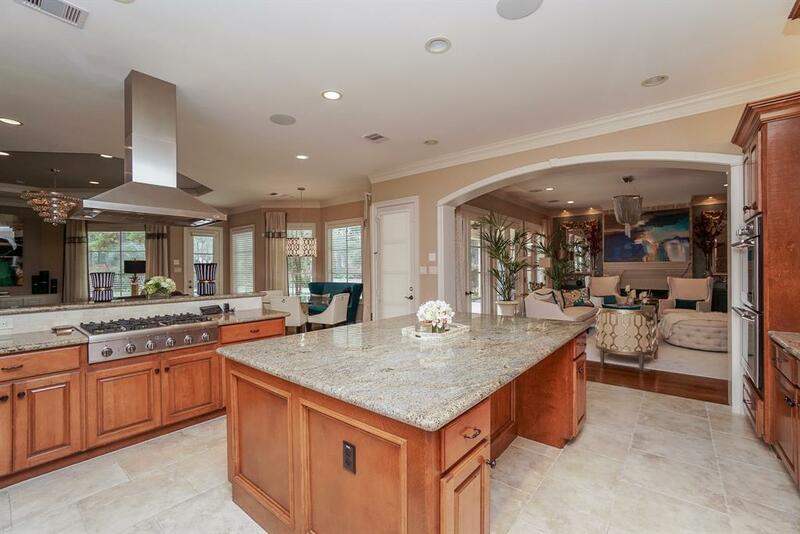 Visit from the stylish kitchen while entertaining with this open layout. 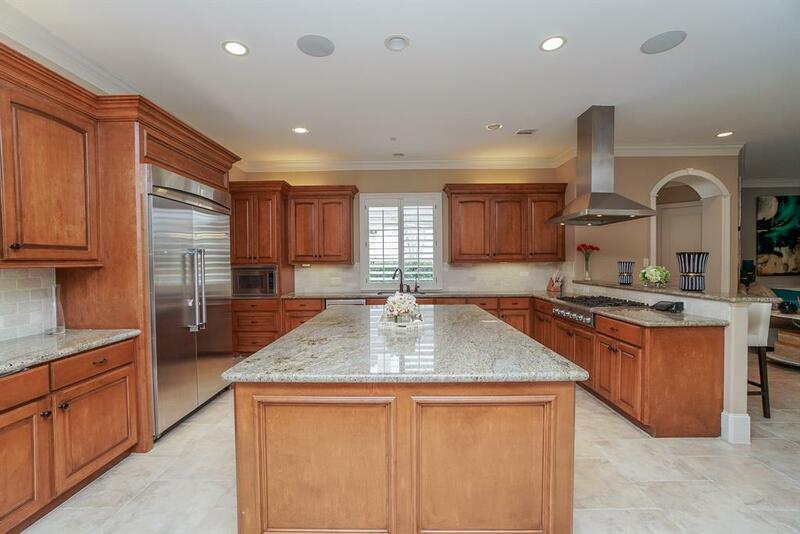 The kitchen opens onto to the living room, breakfast area, and additional living space. 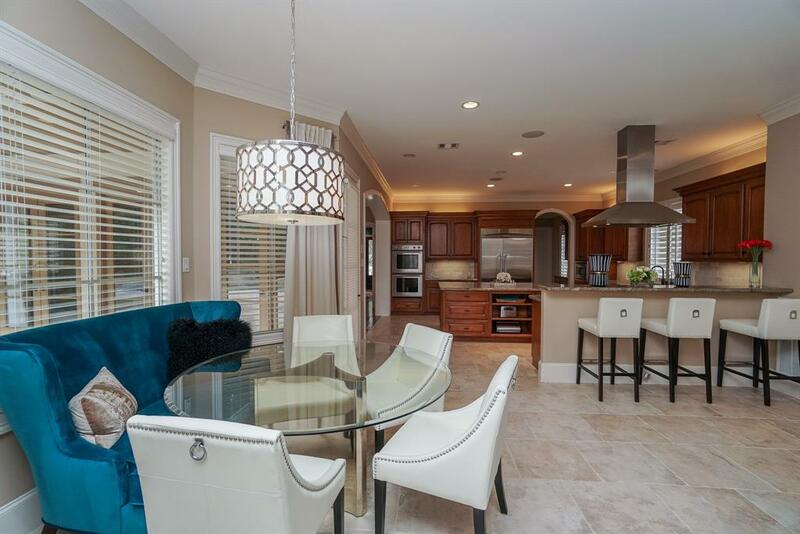 Enjoy meals while looking out over the sparkling pool from the stylish breakfast area. A second living room space with a fireplace opens to an outdoor, covered patio in the backyard. 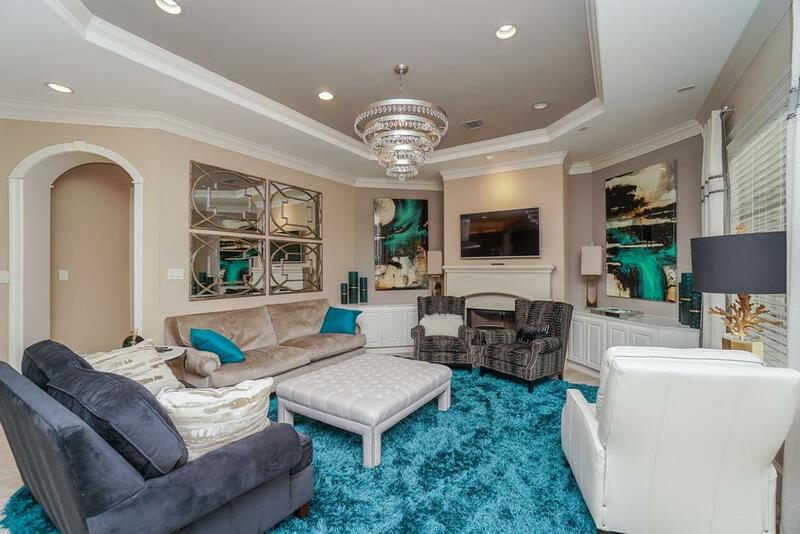 This living room features a second fireplace, custom lighting, and decorative crown molding. The attention to detail makes this home elegant and unique. 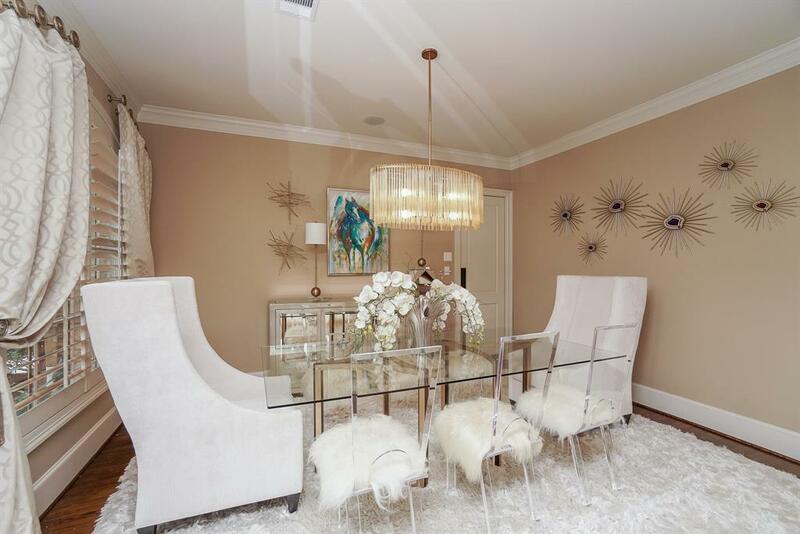 The formal dining room has wood flooring, shuttered window blinds, and crown molding. Dark wood paneled walls line the stately office. 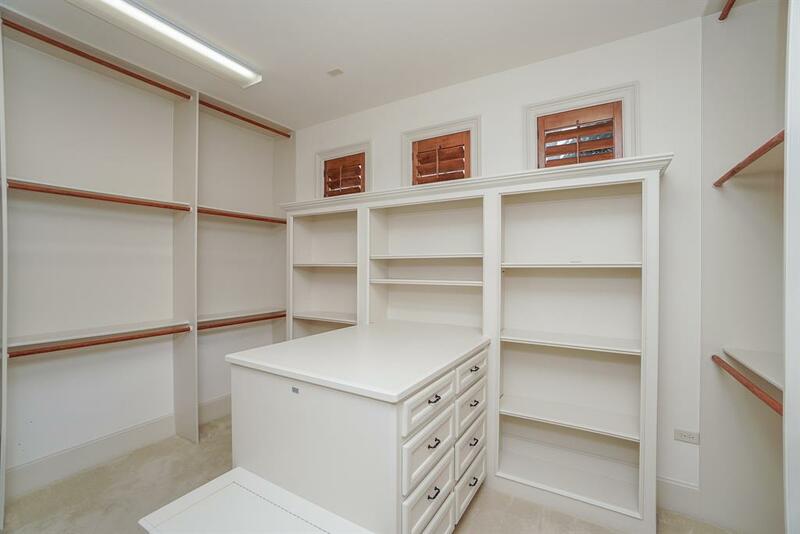 Cabinets provide plenty of space for storing and organizing files and paperwork, with arched cutouts decorating the back of the room. Glass windowed double doors lead from the office into the living room and foyer. Dark wood paneled walls line the stately office. Cabinets provide plenty of space for storing and organizing files and paperwork, with arched cutouts decorating the back of the room. 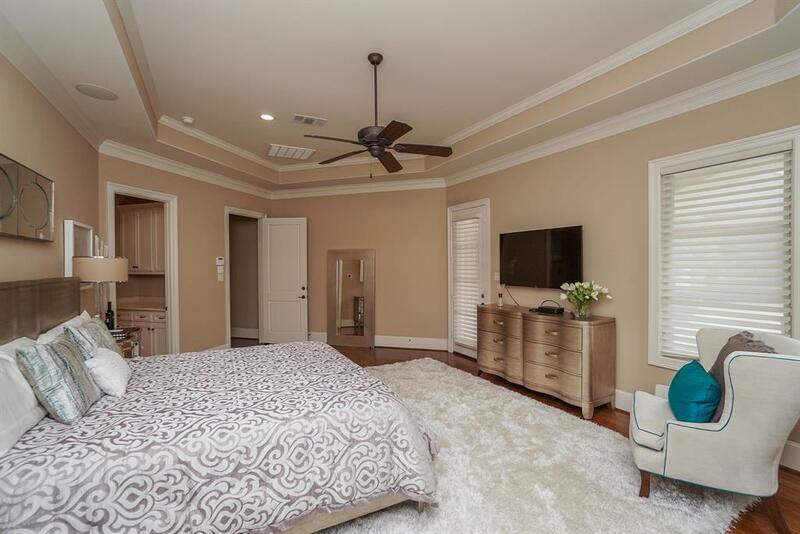 This light, gorgeous master bedroom has wood floors, crown molding, and it’s own fireplace making it the perfect escape to rest and relax. 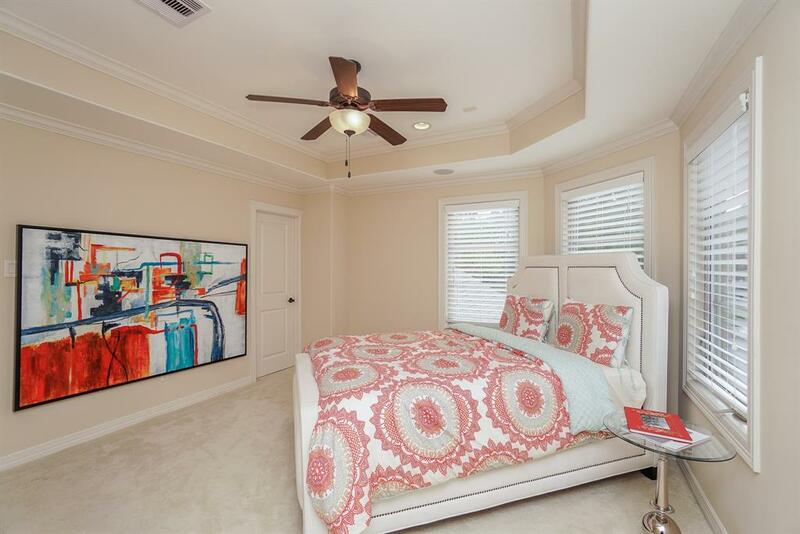 Spacious and light, the elegant master bedroom is relaxing and inviting. Escape the stress of the day in the master bathroom, with large jetted tub, walls of mirrors and beautiful light counters and cabinets. 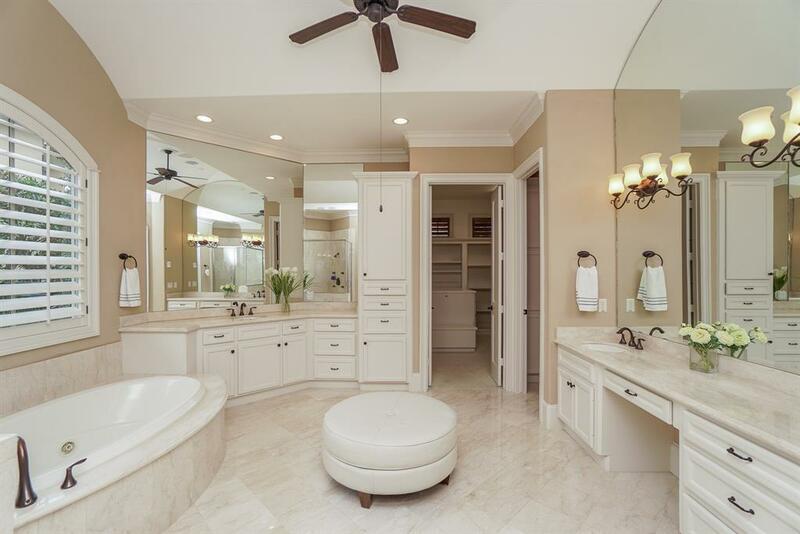 This bathroom is beautiful and open with extra counter space for getting ready for any occasion. 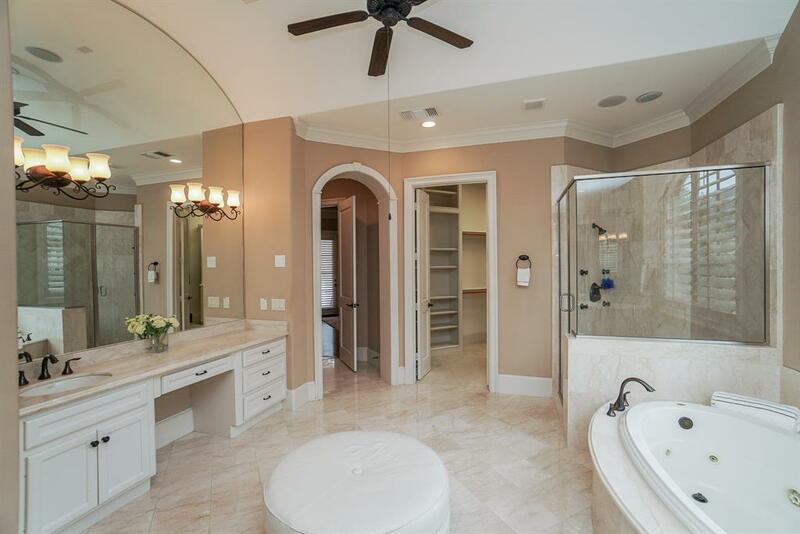 Two huge walk-in closets, a large jetted tub, and a separate glassed shower line the enormous master bathroom. Numerous built-in shelves and hanging areas make organizing this master bedroom closet a snap. An island dresser adds an elegant touch as well as extra room for clothes and accessories. 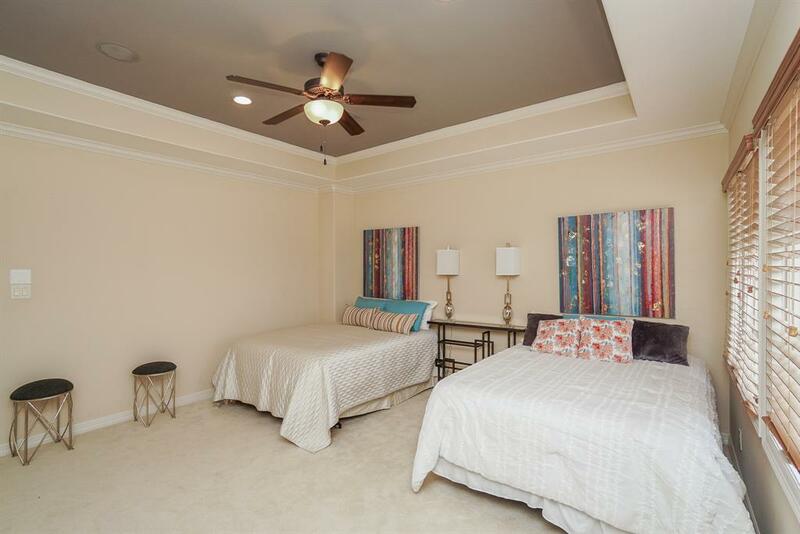 This bright bedroom with neutral carpet is roomy and full of natural light from the large windowed wall. Extra details, like the arched doorway into the bathroom and the recessed ceiling all add the unique touches that make this home special. 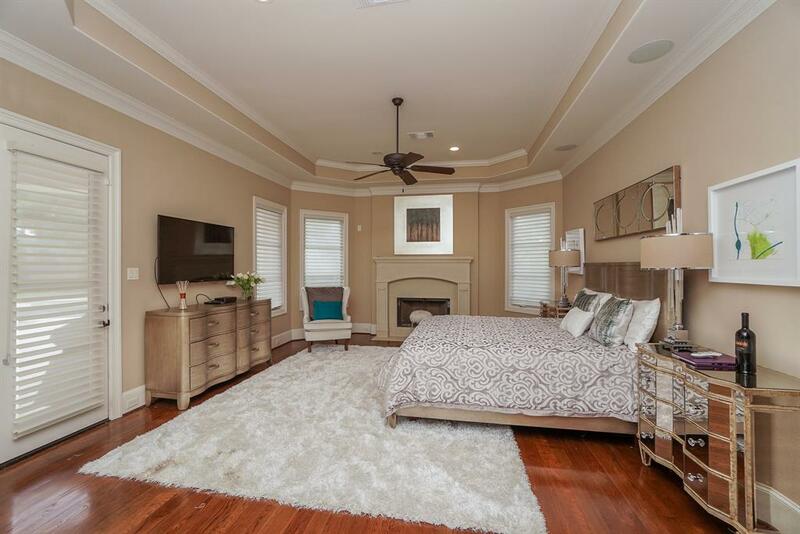 Neutral paint and carpet provide the perfect palette to decorate this room in any style. 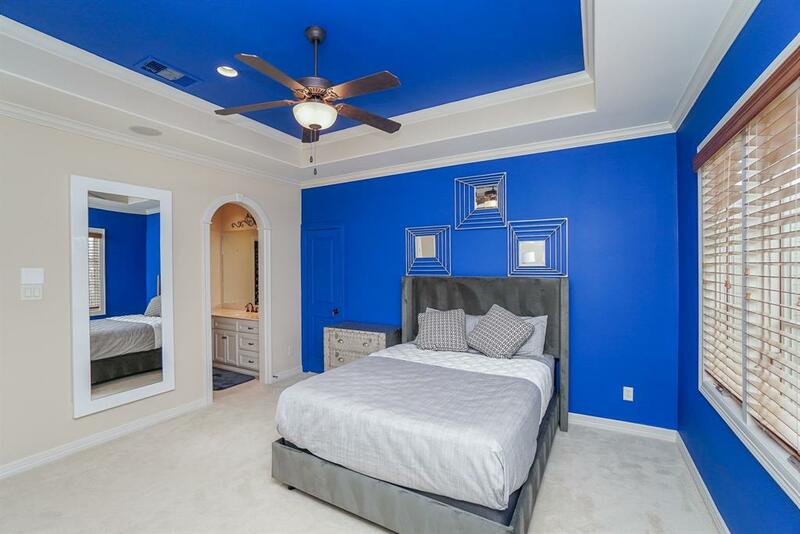 The molding and recessed ceiling add the extra touches to make each room unique. 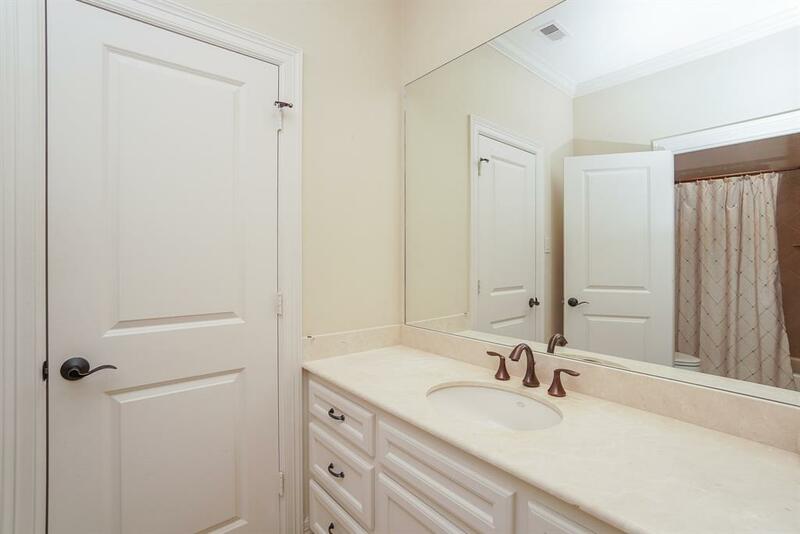 With a mirrored wall and light counters and cabinets, this bathroom has plenty of storage and space to get ready. 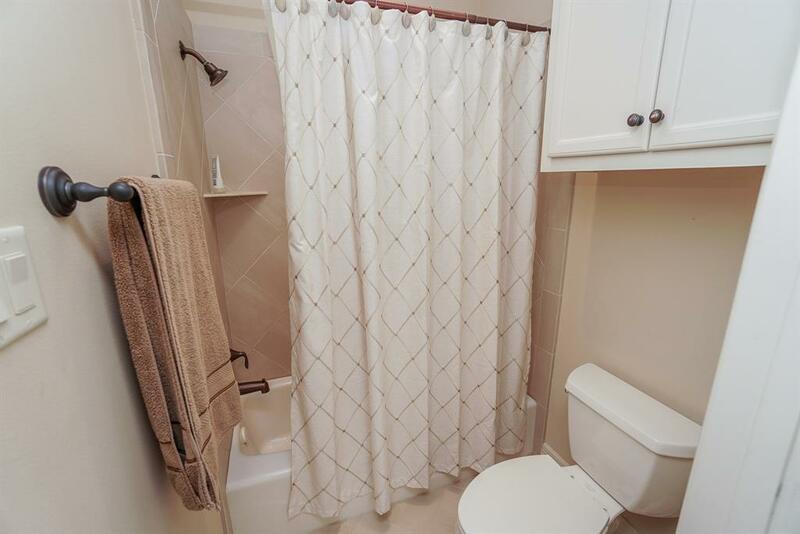 The separate shower/tub area has neutral paint and tile. 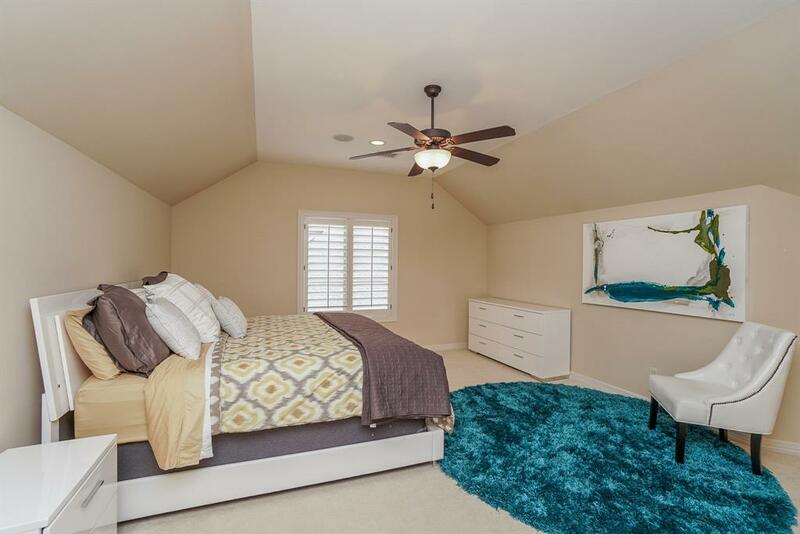 Vaulted ceilings and a study alcove with a built-in desk add charm to this roomy bedroom. Sleep up in the trees in this second story room with this alcove of windows looking out over the yard. Natural lighting pours into this bedroom making it feel open and bright. 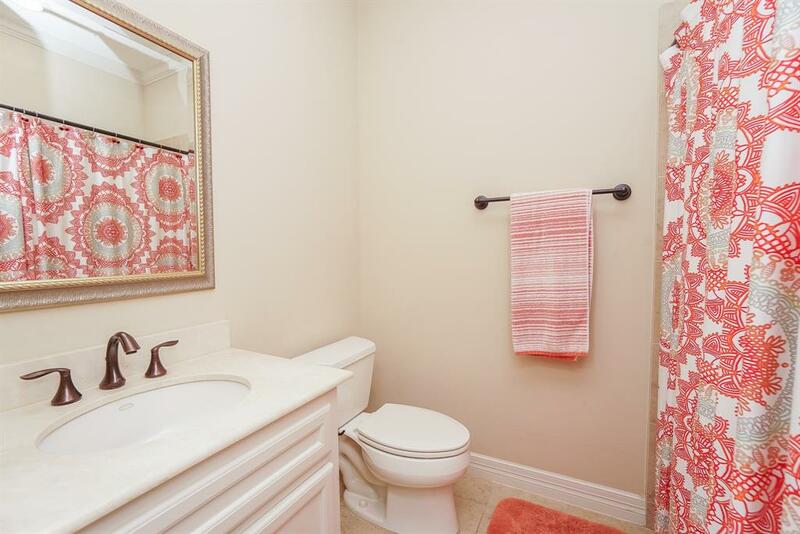 This upstairs bathroom is light an open with neutral tile, counters, and paint. 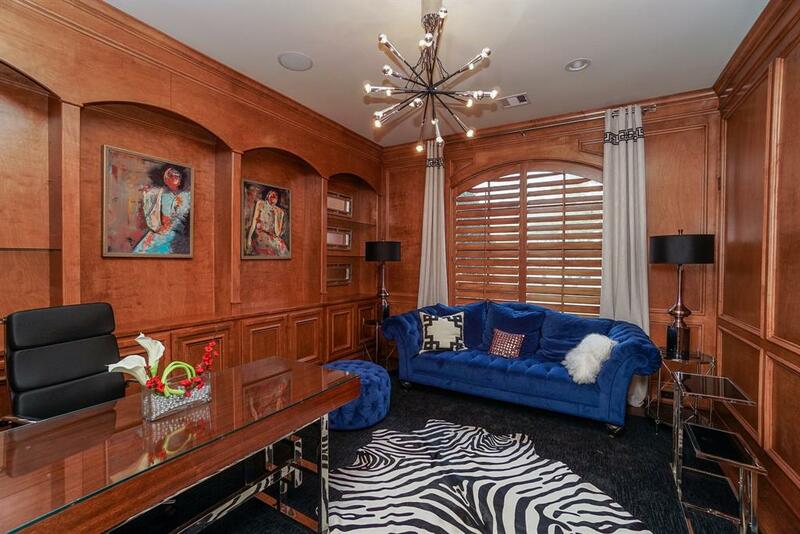 Enjoy reading or relaxing upstairs in the open and airy game room. Lots of natural lighting and neutral colors make this room open and inviting. 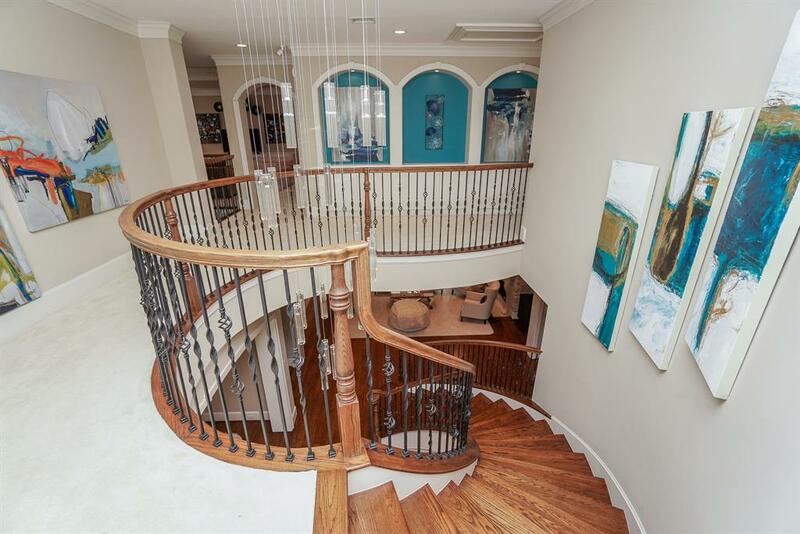 The gorgeous spiraling staircase with decorative ironwork cascades from the second story down into the front foyer. 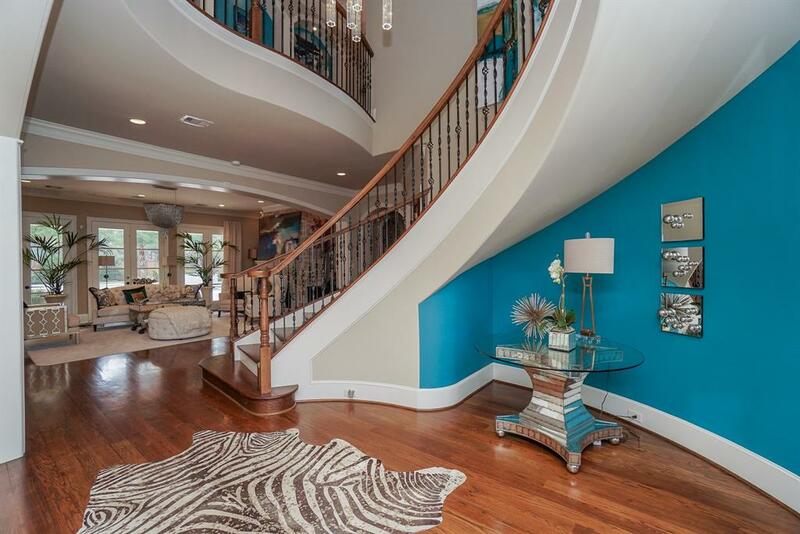 A custom glass chandelier hangs in the center of the stairway creating an elegant focal point. 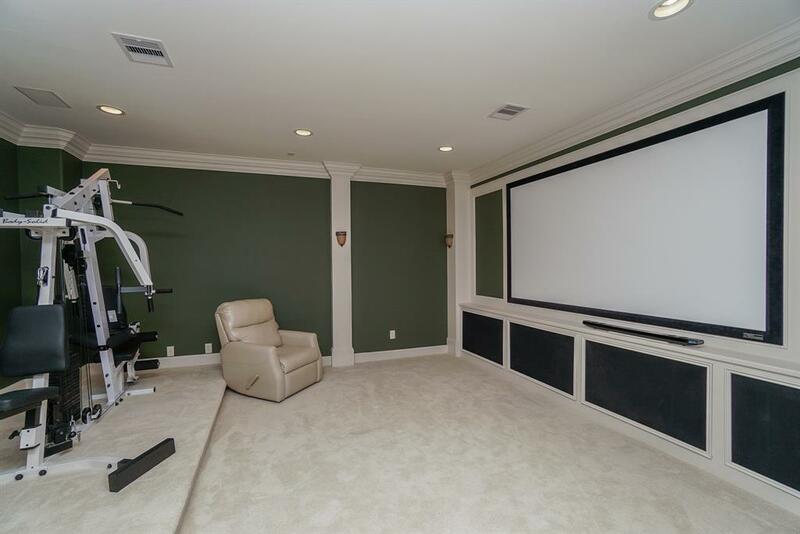 With a wall for watching television or movies, the media room is the place to have a family night. 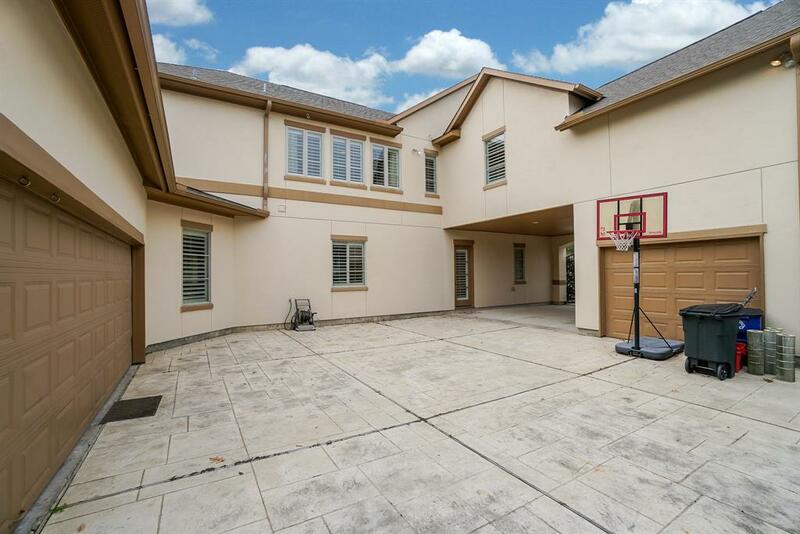 Multiple parking spots are located at the back of this home, as well as plenty of private space for playing basketball with the kids. Cool off in the sparkling pool or escape the sun under the two covered patios. An outdoor fireplace with room for relaxing is the place to visit with guests. 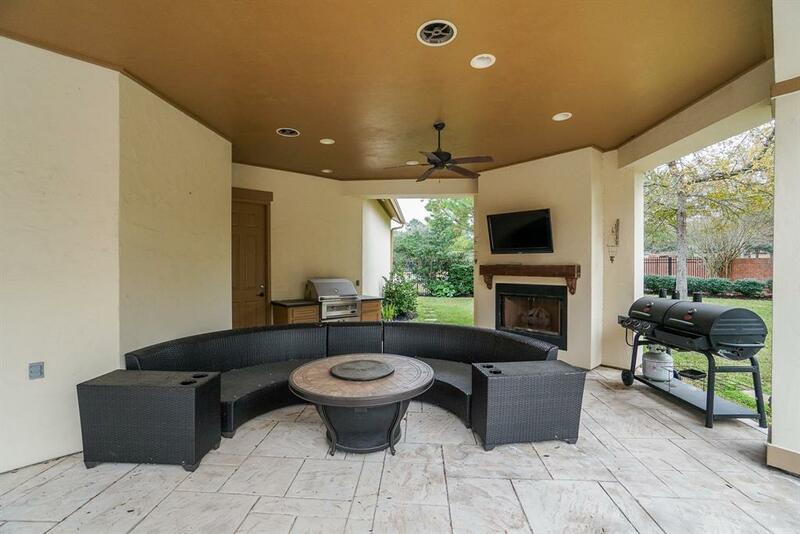 The covered patio features an outdoor fireplace. Grill food and entertain friends and family all year long in your backyard oasis. 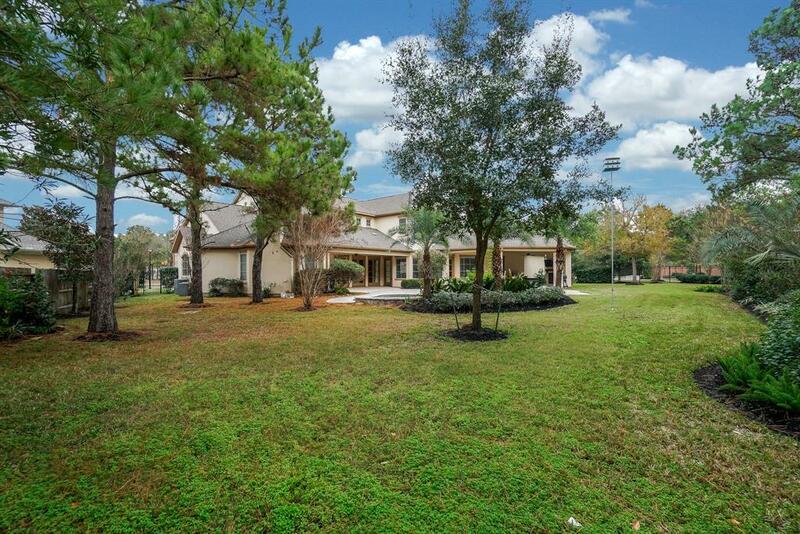 The oversized lot is fully fenced and landscaped. The backyard provides more than enough room for the kids to run and play, entertaining, and gardening all at the same time.